Ever since i watched "Breaking Amish" and saw the gorgeous blanket the mother was crocheting, i wanted to try the pattern. I found a diagram on pinterest, here is the picture. I tried it, and it worked! Of course there were some things, i had to change, because i was not satisfied with the original pattern. 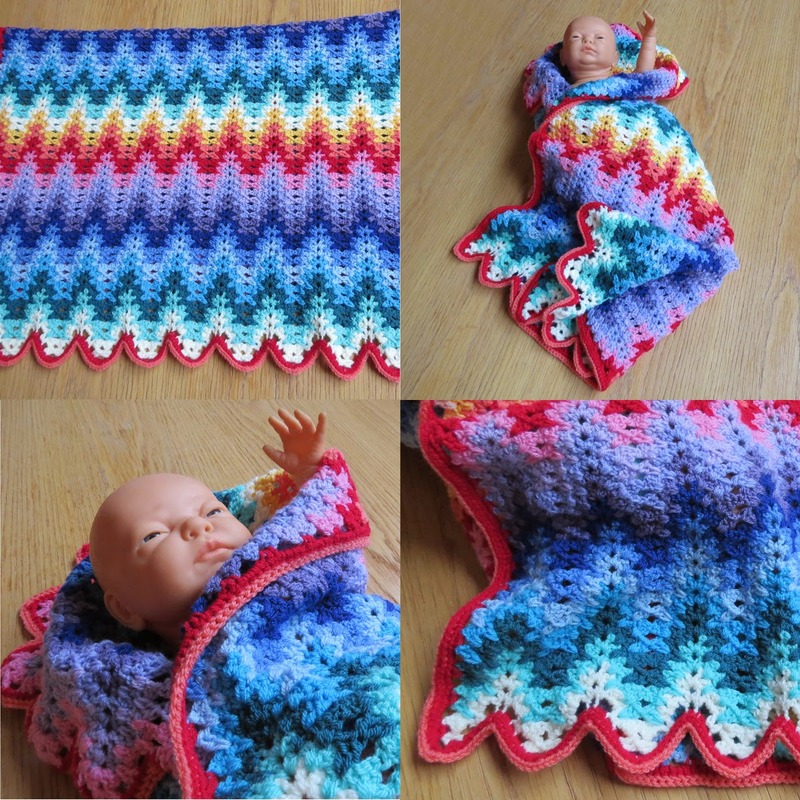 I turned my project into a baby blanket with rainbow colors. I especially love the way the crown of the hat turned out, making decreases turned into a star. She was very happy with her new set! What a beautiful set. Especially the hat I find very special. Your daughter will be very happy. You can experiment a lot with wool and come to surprising effects. 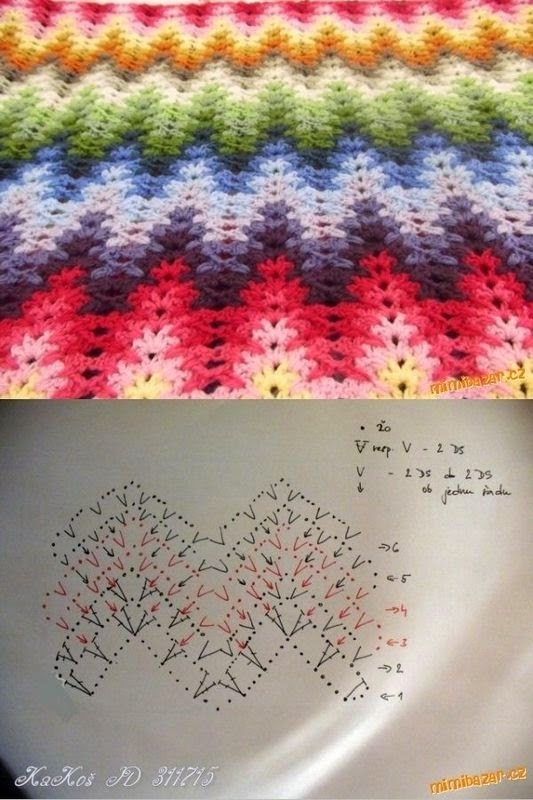 The baby blanket has a beautiful structure. Nice variation to the ripple stitch .... almost like lego pieces fit together! I love the pattern. 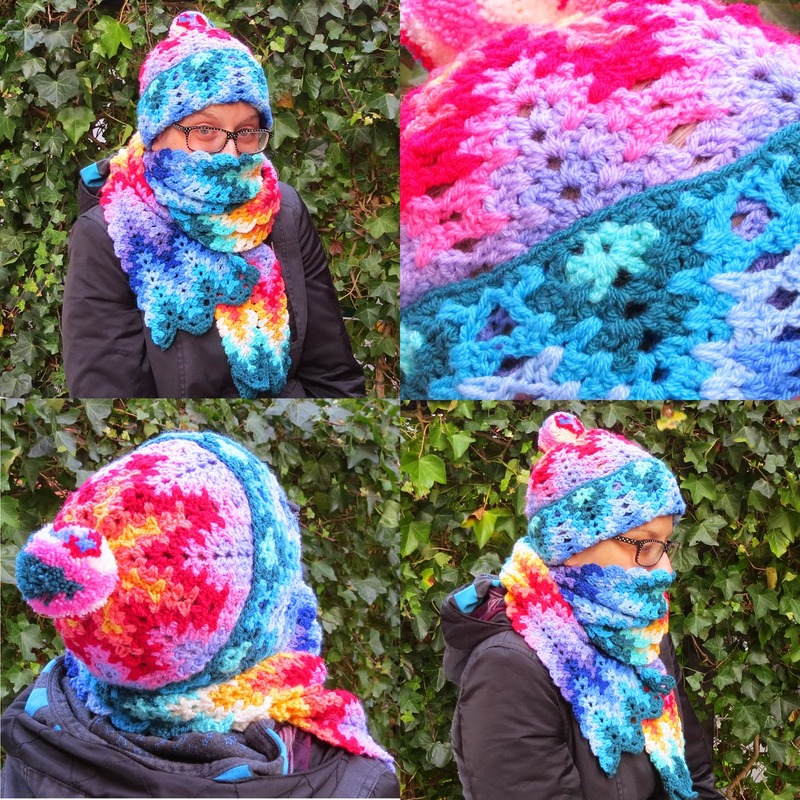 I want to make a blanket for my sofa but I also like the scarf and the hat. Where have you decrease? Do you miss one V stich, or is it something more complicated?